Martin joined Oak Ridge National Laboratory (ORNL) in July 2006. He was appointed to the role of Associate Laboratory Director at ORNL on July 1, 2009. On November 1, 2010, a new directorate was formed, Energy and Environmental Sciences, and he was asked to lead this newly-established directorate. As Associate Laboratory Director of this directorate, he was responsible for the energy, biological, and environmental research programs at ORNL supported by DOE, the Environmental Protection Agency, and the National Institutes of Health. Martin served as the Founding Director of the DOE BioEnergy Science Center, and, before being named Associate Laboratory Director at ORNL, he served as the Director of the Biosciences Division. Between 1996 and 2006 Martin held a series of research management positions within Diversa Corporation, a publicly-traded biotechnology company in San Diego. Martin joined Diversa Corporation in June 1994 as a consultant to build and develop the microbiology expertise within Diversa, before joining Diversa Corporation full time in 1996. 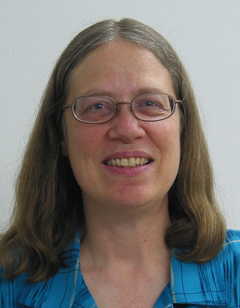 Martin was elected Fellow of the American Association for the Advancement of Science in 2013. Martin received his Ph.D. in Microbiology from the University of Regensburg, Germany. "Advances in Next Generation Energy Technologies: Enabling the Transformation of Global Energy Systems"
Prof. Hans-Martin Henning is director of the Fraunhofer Institute for Solar Energy Systems ISE in Freiburg, Germany and owner of a full professorship “Solar Energy Systems” at the Institute of Sustainable Systems Engineering of the Faculty of Engineering, University of Freiburg. He is spokesman of the Fraunhofer Energy Alliance. Prof. Henning finished his PhD in physics in 1993 at Oldenburg University and started working with Fraunhofer ISE in Freiburg in 1994. Key areas of his research cover technical energy systems for buildings and energy system analysis. He plays a leading role in the development of computer models for the simulation and optimization of complex energy systems and their application to investigate the development of national / regional energy systems including all energy sources, energy conversion and storage technologies and energy end-use sectors. "Sector coupling and system integration- key elements of the next phase of the energy system transformation"
Li Junfeng, Professor, is currently the Director General of National Center of Climate Change Strategy Research, Deputy Director of the Energy Research Institute at China's National Development and Reform Commission. Mr. Li is the driving force behind REEEP's programme in the East Asia region and one of China's most prominent advocates of renewable energy and an expert in climate change and technology transfer issues. Mr. Li facilitated the implementation of the national high technology programme for wind and solar PV within the tenth five-year plan, and was one of the chief authors of the Chinese Renewable Energy Law. He has engaged in renewable energy project development for GEF, the World Bank and the UNDP, and also led the development of the first CDM project in China as well. His extensive published writings include Issues and Options of Green House Gas Emission and Control in China, Renewable Technology Assessment in China, and Renewable Energy Planning and Development Strategy. Mr. Li holds professional and academic positions as a Professor and the Chair of the Academic Committee of ERI, and the President of Chinese Renewable Industrial Association, Vice-Chairman of Global Wind Energy Council and Vice-Chairman of REN 21. He graduated from Shandong Mining Institute in 1982. "Renewable Energy Development in China: Challenges and Opportunities"
Paolo Frankl is Head of the Renewable Energy Division at the International Energy Agency (IEA), which he joined in 2007. Dr. Frankl leads the IEA's work on renewable energy, providing policy advice in the areas of technology, markets and systems integration. He is a member of several international advisory committees, including the EU PVSEC International Scientific Advisory Board and the Helmholtz Association of German Research Centres. A physicist by training, Dr. Frankl holds a Ph.D in energy and environmental technologies from the University of Rome. 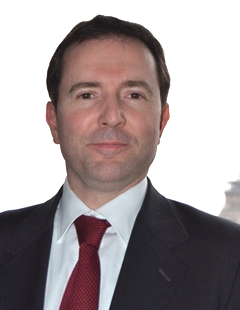 He was also Marie Curie post-doc research fellow at INSEAD in Fontainebleau, France. Dr. Frankl has over twenty years of experience working on renewable energy systems and markets, life cycle assessment and eco-labeling. Prior to joining the IEA, he worked as Senior Researcher for the Italian Research Institute, Ambiente Italia, and was Scientific Head of the Italian environmental research and consulting firm, Ecobilancio. From 2000 to 2002 he served as Advisor to the Director-General of the Italian Ministry for the Environment. Dr. Frankl also spent many years in Assistant Professor positions in environmental technologies at the University of Rome, University of Florence, and l'Ecole des Mines de Paris. 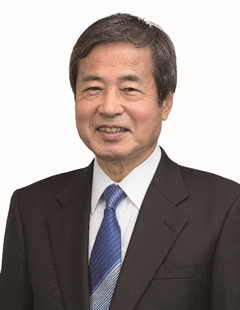 Mr. Hiroaki Ishizuka was appointed chairman of the New Energy and Industrial Technology Development Organization (NEDO) effective as of April 1, 2018. Mr. Ishizuka held a series of senior executive management level positions within Mitsubishi Chemical Corporation, Japan's largest chemical company, between 2009 and 2018. From June 2009 to March 2011 he served as Managing Executive Officer and Executive Officer. Following this, he served as Senior Managing Executive Officer from April 2011 to March 2012. He then served as President and Chief Executive Officer from April 2012 to March 2017. He also served as Senior Corporate Advisor from April 2017 to March 2018. Mr. Ishizuka graduated from the Faculty of Chemical Science of the University of Tokyo in March 1972. Introduction to be found in the Opening Session paragraph. Dr. Sarah Kurtz received her PhD from Harvard University in Chemical Physics in 1985 with Roy Gordon. She moved directly to the Solar Energy Research Institute (now the National Renewable Energy Laboratory, NREL) where she has worked for more than 30 years on a variety of solar energy projects. She is known for her contributions to developing multijunction, GaInP/GaAs solar cells, supporting the Concentrator Photovoltaic (PV) industry, and, more recently, her work with PV performance and reliability. Her work has been recognized with a jointly received Dan David Prize in 2007, the Cherry Award in 2012, and the C3E Lifetime Achievement Award in 2016. In 2018 she will be transitioning to a faculty position at the University of California at Merced, while continuing work with NREL. 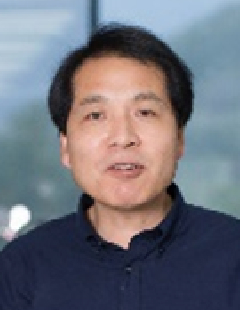 "RAPID GROWTH AND REMAINING CHALLENGES FOR SOLAR PHOTOVOLTAIC TECHNOLOGY"
Sang Il Seok is currently a Distinguished Professor at the School of Energy and Chemical Engineering, Ulsan National Institute of Science and Technology (UNIST), Korea. He also holds a dual appointment as an adjunct professor at the Korea Research Institute of Chemical Technology (KRICT), Korea. 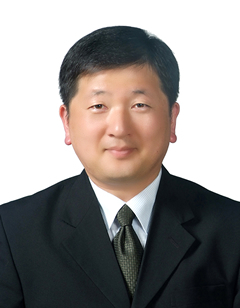 He obtained his PhD degree at Department of Inorganic Materials Engineering of Seoul National University, Korea, in 1995. 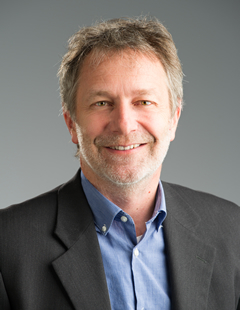 From 1996 to 1997, he experienced a post-doc to investigate defects and transport in Fe-Ti-O Spinel structure in Cornell University, USA, and visiting scholar in University of Surrey, UK, in 2003, and École Polytechnique Fédérale de Lausanne (EPFL), Switzerland, in 2006 respectively. Now, his research focus is based on inorganic-organic hybrid solar cells, in particular perovskite solar cells. He published around 150 peer-reviewed papers including Nature, Science etc. with several awards for his Excellency. WANG Ruzhu (R. Z. Wang), born in Dec.1964, graduated from Shanghai Jiao Tong University (SJTU) in 1984, 1987 and 1990 for his bachelor , master and PhD degrees. He was promoted as associate professor in 1992, and full professor in 1994 in SJTU. He has written 9 Books and about 300 SCI journal papers, his ISI h index is 49. His contributions include Sorption heat pumps, CCHPs, solar heating and cooling, and green building energy systems. He has won Chinese National Research Awards in 2010 and 2014 respectively. Due to his most noteworthy contribution to Refrigeration globally, he was honored to receive the J & E Hall International Gold Medal from the Institute of Refrigeration in 2013. 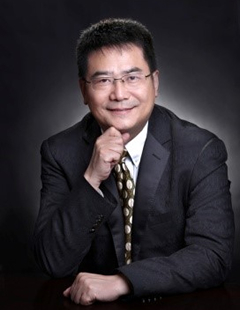 Prof. Wang is currently the vice president of Chinese Association of Refrigeration. Deputy Editor-in-Chief of Energy, Regional editor-International Journal of Refrigeration. "Solar heating and cooling: Current state in China and perspectives"
Cinzia Abbate, architect, professor at Temple University Rome, former director of Rensselaer Polytechnic Institute Rome and Italian Representative at the I.E.A. (International Energy Agency) for the building integration of renewable energies. 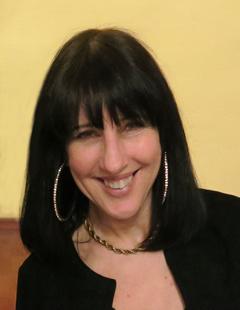 Currently member of the Scientific Conference Committee of Advanced Building Skin and since 2011 she is the architectural advisor for the American Academy in Rome. 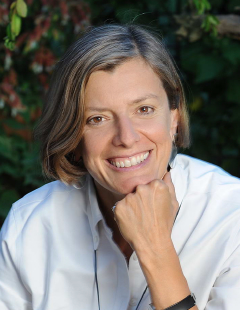 Cinzia Abbate has launched and edited research that has led to international seminars, conferences and publications. The most recent include: Urban Climate Change Crossroads in collaboration with the Earth Institute at Columbia University; Frugal Architecture with the Bruno Zevi foundation; Energy efficiency of historical buildings with the MAXXI contemporary Museum and the ADSI (Italian Association of Historical Buildings), and Archeology of the Future with the Chambers of Italian and Namibia Architects. Co-founder, in 1992, with Carlo Vigevano of the architectural firm AeV Architetti associati, a pioneer architectural practice in the field of architectural integration of renewable energies, as well as in environmental urban planning, adaptive re-use and restoration, both in Italy and abroad. 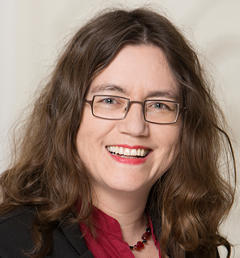 "Questioning innovation in Bioclimatic Architecture"
Dr. Hannele Holttinen is Principal Scientist at VTT Technical Research Centre of Finland (MSc and PhD from Helsinki Technical University). She has worked for VTT for more than 20 years in different fields of wind energy research, with main interest on the impact of wind and PV on power systems and electricity markets. She acts as Operating Agent of the IEA international collaboration on wind integration (IEA WIND Task 25), chaired IEAWind in 2011-12, and has been active in European Wind Energy Platforms ETIP and TPWIND as well as in Nordic energy research. 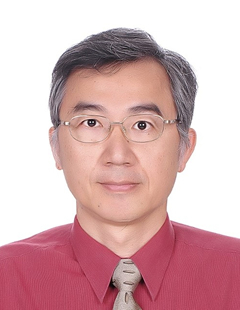 "Advances in wind integration, recent findings from international collaboration"
Dr. Chin-Cheng Huang is currently the Scientist and Director of Mechanical and System Engineering Program at the Institute of Nuclear Energy Research(INER) which is a national laboratory in Taiwan. He is a senior research scientist with over 26 years of experience in the area of engineering analysis and structural integrity assessment for energy systems involving both nuclear power plant systems and wind power systems. Since 2013, Dr. Huang has been leading a research project on offshore wind power sponsored by the National Energy Program. 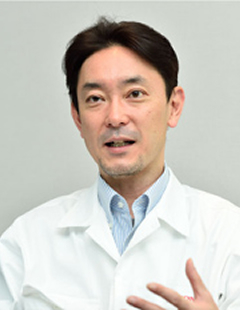 His recent researches on offshore wind aim to develop techniques for verification and validation of offshore wind turbines with support structures under extreme external conditions specially for typhoons and earthquakes. "The development of offshore wind power in Taiwan: Challenges and Prospects"
Prof. Dr. habil. Andrea Kruse studied chemistry at the University of Heidelberg. From 1994 onwards, she was in the KIT at least as principal investigator. In 2006 she got the title "habilitus" and the "venia legendi" in Chemical Engineering from the Technical University Darmstadt. Since 2012 she is full professor, holding a chair in the Institute of Agricultural Engineering at the University of Hohenheim. Andrea Kruse has worked on different types of hydrothermal biomass conversion: pretreatment with steam explosion, liquefaction, catalyzed and supercritical gasification, carbonization and the formation of platform chemicals. Together with the company AVA-CO2 her team has develop a process to convert carbohydrates to Hydroxymethylfurfural, now applied by the company AVA-Biochem. This process and the production of advanced carbon materials (together with AVA Green Chemistry Develop.) from biomass as well as algae processing are the main activities now. The work connects chemical engineering, chemistry and agricultural science. "Hydroxymethylfurfural and advanced carbon materials: Two sides of the same coin"
Mr. Koji Nakazawa is a Chief Engineer Energy Management Project Honda R&D Center X. Since joining Honda R&D in 2000, He has been involved in development of the high-differential-pressure electrolyzer. Designed component parts for all system specifications, including pressure resistance, air tightness, electrolyzer performance, and regulatory compliance and system development for the SHS (Smart Hydrogen Station). As large project leader (LPL) of the SHS, he has managed development of hydrogen production technology and other Honda technology fields while coordinating those activities with other partners. "HONDA'S ACTIVITIES FOR HYDROGEN SOCIETY"
Henry Jeffrey is a specialist in ocean energy roadmaps, action plans and　strategies. In 1998 he was awarded a BEng in Mechanical Engineering with　1st class honours from Robert Gordon University and he subsequently　attained an MBA degree from Aberdeen Business School in 2006. Following completion of his undergraduate qualification, Henry took　the role of Development Engineer with Scottish wave energy developer　Wavegen where he remained for 5 years, gaining invaluable industrial　experience at the cutting edge of the ocean energy sector. Henry then　moved to the University of Edinburgh, where he is currently a Senior Lecturer and leads the Policy and Innovation Group in the Institute for Energy Systems. In this role he contributes to a diverse range of national, European and international ocean energy R&D projects. He leads work　on many roadmap and strategy studies and is the coordinator of the EU　funded DTOcean project. In addition to his roles at the University of　Edinburgh, Henry is the coordinator of the European Energy Research　Alliance (EERA) Ocean Energy Joint Programme, serves as Head of　Strategy and Internationalisation at Wave Energy Scotland, is responsible for industrial liaison at the SuperGen UK Centre for Marine Energy Research (UKCMER) and has been involved with the IEA Ocean Energy　Systems initiative as both UK representative and vice-chair. Henry has authored or co-authored over 30 journal and conference papers along with many of the most notable roadmap and strategy reports in the ocean energy sector. 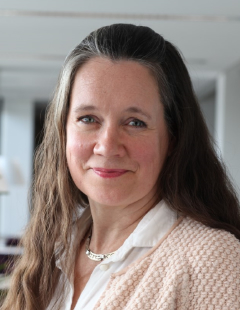 "Ocean Energy- An IEA international overview and Vision"
Juliet has been involved in many aspects of the geothermal industry, including geology, geothermal surface feature mapping, monitoring and modelling, reservoir and wellbore simulation, geological modelling and resource evaluation. However, her strong belief that education is the key to progress both in a social and technological sense, has always led her to maintain strong links with academia. In November 2016 Juliet took up the position of Director of the Iceland School of Energy, Reykjavik University, Iceland. Prior to this, since 2011 Juliet has been a geothermal reservoir modeling engineer for Contact Energy Ltd. From 2007 to 2011 she was the original co-organizer of the Postgraduate Certificate in Geothermal Energy Technology for the University of Auckland, New Zealand. She has managed the delivery of many other geothermal courses, including the Short Courses for the International Geothermal Association World Geothermal Congress 2015. Juliet is also a Board member of the International Geothermal Association; she was Chair of the Education Committee from 2010 to 2013 and held the office of President for the 2013 to 2016 Board term. Aranya Chakrabortty received his PhD degree in Electrical Engineering from Rensselaer Polytechnic Institute, Troy, NY, in 2008. Following that he was a postdoctoral research associate at the University of Washington Seattle, for a year. From 2009 to 2010, he was an Assistant Professor at Texas Tech University. 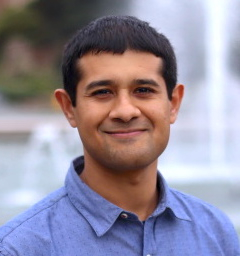 Since 2010, Aranya has joined the Electrical and Computer Engineering department of North Carolina State University in Raleigh, NC, USA, where he is currently an Associate Professor. His research interests are in power system dynamics, modeling, stability, and control, with a special focus on wide-area monitoring and control using Synchrophasors. He is a senior member of IEEE, and currently serves as an Associate Editor for IEEE Transactions on Control Systems Technology and IEEE Transactions on Power Systems. He has held visiting positions at Tokyo Institute of Technology, Osaka Prefecture University, University of Illinois Urbana-Champaign, and the Information Sciences Institute at University of Southern California. He received the NSF CAREER award in 2011. "Dynamic Control of Power Systems with Distributed Energy Resources"
Marek Miara has a profound experience in the field of renewable energy. The focus of his work lies on the efficiency determination and evaluation of heat pump systems, rational energy use and buildings with low energy consumption. For the past 14 years, he has been working for the Fraunhofer Institute for Solar Energy Systems ISE where he coordinates the heat pump activities and, in particular, leads large-scale monitoring projects on heat pumps efficiency. In addition to national projects, he oversees international EU projects and activities in the framework of the IEA Heat Pumping Technologies; at present as an operating agent of its Annex 50. 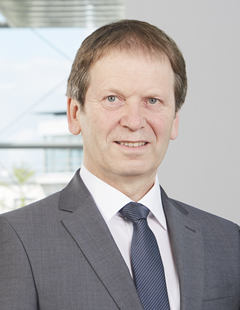 Mr. Miara is a member of normalization committees of the Association of German Engineers (VDI), board member of the German Society of Refrigeration and Air Conditioning (DKV), as well as co-founder of the Polish Heat Pump Association (PORT PC). In the field of heat pumps, he published extensive technical papers and made numerous presentations in a vast number of national and international conferences. Mr. Miara has a doctoral degree in engineering defended at the Wroclaw University of Technology in 2014 with his PhD thesis "Assessing Efficiency of Heat Pumps. Analytic Method Integrating Ecological, Energetic and Economical aspects". 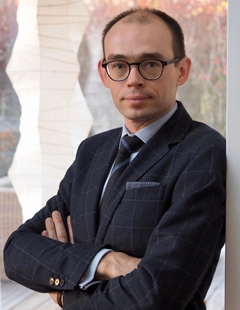 He is a graduate of the University of Kassel (2004, Master Post-graduate) in the field of Energy and Environment, Renewable Energy, Energy Efficiency and of the Wroclaw University of Technology (2000, Master) in Civil Engineering. He received his B.S. and M.S. degrees from Korea Maritime and Ocean University, Koea and his Dr.Eng. from Yokohama National University, Japan. 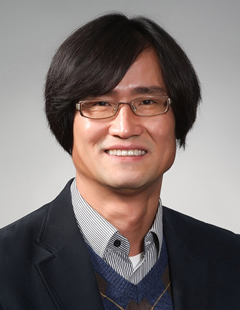 Since 2009, he has been an associate professor at the Department of Mechanical Engineering of Mokpo National University, Korea. His research interests include renewable energy and fluid machinery. Especially, his study focuses on the design and performance improvement of hydro turbine, wind turbine and ocean energy. Recently, he is mainly conducting the development of mechanical Energy Storage System (ESS) using hybrid energy converter system, which combines micro pump-turbine, ocean wind turbine, PV, tidal current hydro turbine and wave energy converter. Moreover, in order to improve the performance and structural reliability of fluid machinery, optimum design and FSI analysis on the pumps, blowers and valves are applied in his study. "Proposal of a Small Pump-Turbine System for Ocean Renewable Mechanical Energy Storage System"